Brilliant illustrations of the first battle cry for American independence spring from the pages of Paul Revere’s Ride, illustrated by acclaimed artist Charles Santore in this newly redesigned edition of the classic tale. 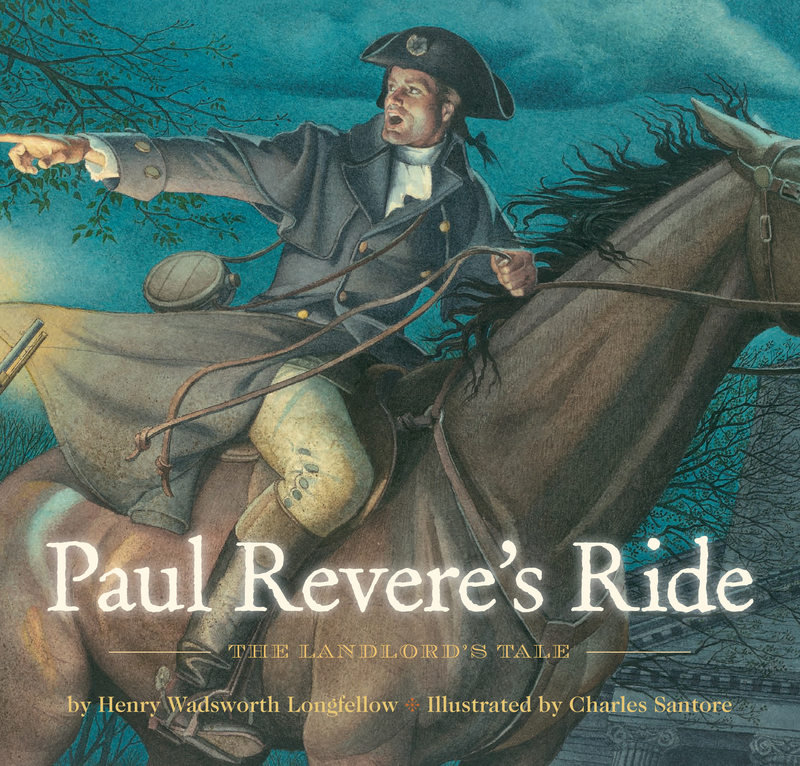 Listen, my children, and you shall hear Of the midnight ride of Paul Revere So begins the classic poem of devoted patriot Paul Revere’s midnight ride on April 18, 1775. Henry Wadsworth Longfellow wrote the poem in 1860 as a tribute to the revolutionary hero who rode his horse through Medford, Lexington, and Concord to warn the American patriots that the British were coming to attack. This edition features incredible illustrations that are drawn from extensive research and careful historical consideration. From the hands of New York Times bestselling artist Charles Santore, detailed paintings show the dramatic landscape of the Charlestown shore, the Old North Church, the king’s army down to the red-coats and caps, and the streets of Boston and surrounding villages. Santore’s research enabled him to draw accurate depictions of everything from Colonial costumes and architecture to the landlord’s coat of arms and the furniture at the Wayside Inn.